Eliezer Zusia Portugal, the first Skulener Rebbe, was revered by his followers in Russia, Romania, Israel, and the United States for his personal warmth and his care for hundreds of Jewish youth and war orphans, whom he personally adopted as his own children. He established the Skulener dynasty in America in the 1960s. His only biological son, Rabbi Yisroel Avrohom Portugal, succeeded him as Rebbe. Rebbe is a Yiddish word derived from the Hebrew word rabbi, which means "master", "teacher", or "mentor". Like the title rabbi, it refers to teachers of Torah or leaders of Judaism. Sculeni is a commune in Ungheni District, Moldova. It is composed of four villages: Blindești, Floreni, Gherman and Sculeni. Bucharest is the capital and largest city of Romania, as well as its cultural, industrial, and financial centre. It is located in the southeast of the country, at 44°25′57″N26°06′14″E, on the banks of the Dâmbovița River, less than 60 km (37.3 mi) north of the Danube River and the Bulgarian border. Rabbi Menachem Mendel Schneerson (April 18, 1902 OS – June 12, 1994 / AM 11 Nissan 5662 – 3 Tammuz 5754, Hebrew: מנחם מענדל שניאורסאהן‎, known to many as the Lubavitcher Rebbe or simply as the Rebbe, was a Russian Empire–born American Orthodox Jewish rabbi, and the last rebbe of the Lubavitcher Hasidic dynasty. He is considered one of the most influential Jewish leaders of the 20th century. Rabbi Portugal lived primarily in the Borough Park section of Brooklyn but spent some time including about half of the Jewish holidays in Williamsburg, Brooklyn where his father lived. He was widely sought after for his blessings and advice. He deprived himself of bodily pleasures by sleeping very little, not sleeping in a bed and eating no more than one meal a day. He was also known for his battles against modernities such as watching television and use of internet. Borough Park is a neighborhood in the southwestern part of the borough of Brooklyn, in New York City, United States. The neighborhood is bordered by Bensonhurst to the south, Bay Ridge to the southwest, Sunset Park to the west, Kensington and Green-Wood Cemetery to the northeast, Flatbush to the east, and Midwood to the southeast. He encouraged shaving the scalp except for boys under three and unmarried girls. He was a composer of Hasidic songs. 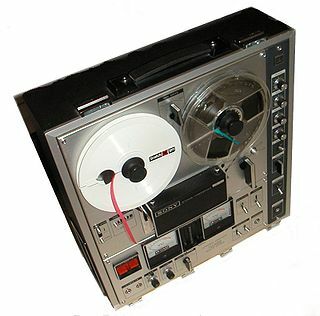 He always (except on Shabbat and Jewish Holidays) carried with him a small tape recorder to record any new tune that would come to his mind. He composed thousands of songs. Most of them were forgotten after they were recorded, but many of them were sung at his tishen, and a handful of them have become classics in the Hasidic community. 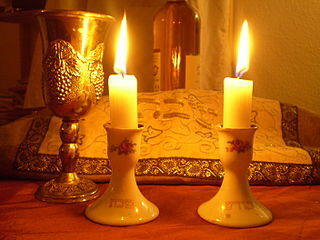 Shabbat or Shabbos, or the Sabbath is Judaism's day of rest and seventh day of the week, on which religious Jews, Samaritans and certain Christians remember the Biblical creation of the heavens and the earth in six days and the Exodus of the Hebrews, and look forward to a future Messianic Age. Shabbat observance entails refraining from work activities, often with great rigor, and engaging in restful activities to honor the day. Judaism's traditional position is that unbroken seventh-day Shabbat originated among the Jewish people, as their first and most sacred institution, though some suggest other origins. Variations upon Shabbat are widespread in Judaism and, with adaptations, throughout the Abrahamic and many other religions. Rabbi Portugal had close ties with many Hasidic rebbes. He headed the ''Chesed L'Avraham'' charity organization in Israel founded by his father, and was actively involved - traveling worldwide - in fundraising for it. Tzedakah[tsedaˈka] or Ṣ'daqah[sˤəðaːˈqaː] in Classical Hebrew, is a Hebrew word literally meaning "justice" or "righteousness", but commonly used to signify charity Notably, this concept of "charity" is different from the modern Western understanding of "charity", which is typically understood as a spontaneous act of goodwill and a marker of generosity, as tzedakah is rather an ethical obligation. In Judaism, tzedakah refers to the religious obligation to do what is right and just, which Judaism emphasizes is an important part of living a spiritual life. Thus, unlike voluntary philanthropy, tzedakah is seen as a religious obligation that must be performed regardless of one's financial standing, and is considered mandatory even for those of limited financial means. More broadly, tzedakah is considered to be one of the three main acts that can positively influence an unfavorable heavenly decree. Following the death of his wife, Reizel (daughter of Rabbi Menachem Ze'ev Stern of Oberwischau), in 2005, he changed some of his practices, including traveling less and wearing his peyos hanging down rather than tied around his ears. Portugal's wife, Reizel, died in 2005. Portugal had five sons and three daughters. Rabbi Yeshaya Yaakov Portugal, Skulener Rebbe of Borough Park, Brooklyn, use to live in Montreal, Canada – oldest son of Rabbi Yisroel Avrohom Portugal. Always had many followers of his own. Rabbi Meir Portugal – second son of Rabbi Yisroel Avrohom Portugal, Skulener Rav of Williamsburg, Brooklyn. Rabbi Ephraim Chayyim Yehuda Portugal, Skulener Rebbe of Spring Valley, New York – third son of Rabbi Yisroel Avrohom Portugal. Rabbi Zvi Noach Portugal, Skulener Rebbe of Lakewood, New Jersey – fourth son of Rabbi Yisroel Avrohom Portugal. Rabbi Shmuel Mordechai Portugal – youngest child of Rabbi Yisroel Avrohom Portugal, and Skulener Rav in Boro Park. Rabbi Shmuel Mordechai married his niece Sheina Rachel Stern (daughter of Rebbetzin Leah Libba, and oldest grandchild of Rabbi Yisroel Avrohom Portugal) in 1990 (an acceptable type of marriage according to Judaism). Rebbetzin Leah Libba – oldest child of Rabbi Yisroel Avrohom Portugal. Wife of Rabbi Chayyim Dov Stern, Skulener Rav of Bnei Brak, son of Rabbi Yitzhak Yehuda Stern of Bielitz . Rebbetzin Chaya Sarah – second daughter of Rabbi Yisroel Avrohom Portugal. Wife of Rabbi Shimon Yoel Weinberger, Skulener Dayan, son of Rabbi Moshe Dov Weinberger. Rebbetzin Nechamah – youngest daughter of Rabbi Yisroel Avrohom Portugal. Wife of Rabbi David Leib Klughaupt, head of Skulener Kollel of Boro Park, son of Rabbi Ya'akov Shlomo Klughaupt, son of Rabbi Levi Yitzhak Klughaupt. Rebbe Portugal died on April 1, 2019 at about 5:45 PM in Johns Hopkins Hospital surrounded by his family. His funeral the following day as prescibed by Jewish law took place in Brooklyn was attended by over a hundred thousand people. The funeary proceedings were marked by a duo of incidents which each caused injury to a NYPD officer; the first in which an officer slipped and had his ankle broken by a hearse which ran over his leg and another where an out of fuel drone crashed down upon a police officer's head. He was buried next to his father at the Viznitz Cemetery in Monsey, New York. The Rebbe was 95. Nadvorna is a Hasidic rabbinical dynasty within ultra-Orthodox Judaism. The dynasty derives its name from the town of Nadvorna, known in Ukrainian as Nadvirna. The town was located in the province of East Galicia in the Austro-Hungarian Empire, until World War I; and between the two world wars, the town was located in Poland. The Aleksander hasidic movement flourished in Poland from 1880 until it was largely destroyed by Nazi Germany during World War II. The sect is named after the town of its origin, Aleksandrow Lodzki, Poland,, which was called Aleksander in Yiddish. Chernobyl is a Hasidic dynasty that was founded by Grand Rabbi Menachem Nachum Twersky, known by the name of his work as the "Meor Einayim". The dynasty is named after the Ukrainian town of Chernobyl, where Rabbi Nachum served as the maggid. Ruzhin is the name of a Hasidic dynasty founded by Rabbi Yisroel Friedman (1796–1850) in the town of Ruzhyn, Ukraine, today an urban-type settlement in Zhytomyr Oblast, Ukraine. The Ozerov Hasidic dynasty is a Hasidic group that began in 1827 when Rabbi Yehudah Leib Epstein, Rabbi of Ożarów in Poland since 1811, assumed leadership of his Hasidim ("disciples"). Ozerov is known for its learning as one if the intellectual Hasidic dynasties. Rabbi David Twersky, originally spelled Twerski, is the Grand Rabbi and spiritual leader of the village of New Square, New York and of Skverer Hasidism worldwide. Narol is a dynasty of Hasidic rebbes originally based in the village of Narol, W. Galicia. Israel Friedman of Ruzhyn, also called Israel Ruzhin, was a Hasidic rebbe in 19th-century Ukraine and Austria. Known as Der Heiliger Ruzhiner, he conducted his court with regal pomp and splendor. Tsar Nicholas I of Russia, who was said to be jealous of the Rebbe's wealth and influence, had the Rebbe imprisoned for nearly two years on an unsubstantiated murder charge. After his release, the Rebbe fled to Austria, where he re-established his court in Sadigura, Bukovina, attracted thousands of Hasidim, provided for the Hasidic community in Israel, and inaugurated the construction of the Tiferet Yisrael Synagogue in the Old City of Jerusalem. Savran is a Hasidic dynasty founded by Rebbe Moshe Zvi Giterman. Savran is a town in present-day Ukraine. The Stanislav hasidic dynasty was established in western Ukraine in a town now known as Ivano-Frankivsk. The town used to be called Stanisławów, and is still known in Yiddish as Stanislav. Skulen Hasidic dynasty was founded by Rav Eliezer Zusia Portugal. It was headed by his son, Rav Yisroel Avrohom Portugal until his death on 1st April 2019. Name is originated from Sculeni, a town in Bessarabia where Rabbi Eliezer Zusia was born and served as rabbi. Vien (וויען) is a Rabbinical hasidic dynasty originating in present-day Vienna. The previous rav of Vien was Rav Chaim Z. Hersh Zegelbaum of Brooklyn, New York. He was a descendant of Rav Menachem Mendel Stern (1759–1834) of Sighet, author of Derech Emunah. Nachum Dov Brayer is the Rebbe of the Boyan Hasidic dynasty. He is the grandson of the former Boyaner Rebbe of New York, Rabbi Mordechai Shlomo Friedman. On Hanukkah 1984, at the age of 25, he was crowned Boyaner Rebbe. He lives in Jerusalem. Avrohom Yaakov Friedman was the fifth Rebbe of the Sadigura Hasidic dynasty. In 1979 he succeeded his father, the fourth Sadigura Rebbe, and took his seat on the Moetzes Gedolei HaTorah. He oversaw the growth of Sadigura communities in Israel and in London, Antwerp, and New York City. Yisroel Spira, the Bluzhover Rebbe, was a senior member of Moetzes Gedolei HaTorah, and a Holocaust survivor. His experiences in the Nazi concentration camps were the basis for the book Hasidic Tales of the Holocaust. Rabbi Mordechai Hager, was the Admor of Vizhnitz Hasidic sect for 46 years, and had a following of tens of thousands of chassidim. ↑ Bobker, Joe (2008-08-30). Can I Play Chess on Shabbas. Gefen Publishing House Ltd. pp. 70–. ISBN 978-965-229-422-7 . Retrieved 26 June 2011. 1 2 3 4 Nathan-Kazis, Josh. "The Last Holocaust-Era Rebbe Dies, And A Neighborhood Shuts Down To Mourn". The Forward. Retrieved 2019-04-03. ↑ "Famed Rabbi Permitted to Leave Rumania; Had Been Arrested". 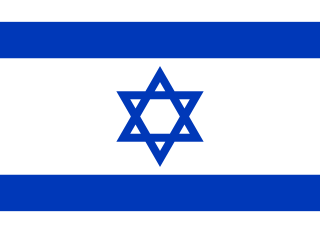 Jewish Telegraphic Agency. 1960-04-01. Retrieved 2019-04-03. ↑ "The-full-story-of-release-of-Skulener-Rebbe" . Retrieved 2019-04-03. ↑ "1 NYPD Cop Run Over, 1 Hit With Drone at Huge Rabbi Funeral". NBC New York. Retrieved 2019-04-03.